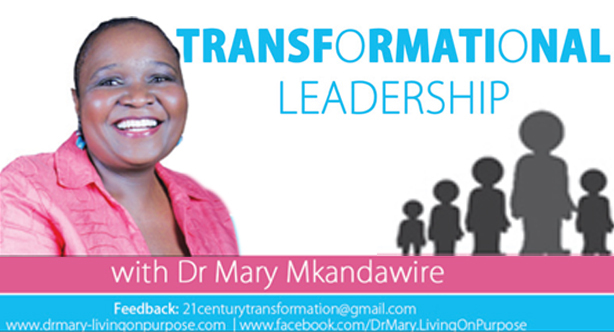 All of us have the potential to be transformational leaders because leadership is all about relationship. Leadership guru Dr John Maxwell authored a book, the 360 degree leader, in response to the many people who would come up to him after his leadership conferences and explain that, although they liked the leadership principles he was teaching, they could not apply them because they were not the main leader in their organization. In the book, Dr Maxwell argues that anyone can lead from anywhere in the organization. He explains that 360 degree leaders can lead people above them, beside them and below them because leadership is not about title or position. Leadership is about influence. No matter who we are, we all influence someone. Whether we’re a child influencing our peers, a parent influencing our children, or a global leader influencing fellow world leaders, we all have a certain degree of influence. Therefore, we all function in a leadership capacity to some extent every day. The extent of our influence however, depends on the extent to which we have connected with people. Those who influence us most are those who connect with us most. We may not even know them personally, but they influence us by identifying with us in some way. Our influence with other peopl e depends on the relationship that we have developed with them. Dale Carnegie, author of ‘How to Win Friends and Influence People’ said, “You can make more friends in two months by becoming interested in other people than you can in two years by trying to get other people interested in you”. John Maxwell says, “People don’t care how much you know until they know how much you care”. Becoming a transformational leader means taking the time to show people that you care. And we can all do that, whether we are a housewife, like Elizabeth’s mother, or the Prime Minister of a nation, like Disraeli. Or even like William Gladstone. At first glance, Gladstone appears to have lacked the social skills necessary to take him far in his leadership role. However, he served in politics for sixty years, becoming Prime Minister on four different occasions and serving as Chancellor of the Exchequer four separate times too. The secret to Gladstone’s success was in who he connected with. Although he did not connect with Winston Churchill’s mother or with Queen Victoria, he did connect with the people. Gladstone was affectionately known by his supporters as “The People’s William”. He started his political career by walking the streets of London at night, rescuing and rehabilitating prostitutes, and encouraging the young women to pursue a better way of life. He continued the practice even when he was Prime Minister. As a government minister, he fought to abolish corrupt work practices where men were hired for a day’s work at the recommendation of the local tavern owner. The tavern owner would only recommend men who purchased large quantities of alcohol, and workers would often show up at work sites to perform dangerous tasks while drunk. Crowds flocked to hear Gladstone on the campaign trail, where he declared that he “would back the masses against the upper classes”. During the Midlothian campaign of 1879, often cited as the first modern political campaign in Britain, he addressed an unprecedented total of 86,930 people. Mary Mkandawire – who has written 13 posts on The Times Group.